The latest Pacman video game – Pac-Man Championship Edition DX will be released on Xbox Live Arcade this week. Every big fan of Pacman, have you been ready for a new incredible eating war with the reloaded Pacman? 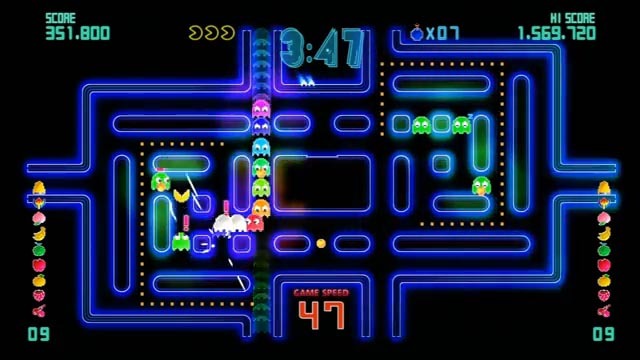 The following is the demo video about the new Pacman video game. As we can see from the video, it seems Pacman has honed his body in order to touch a new peak of speed, and its reloaded body can fling numerous ghosts back home. Of course, new mazes have been added in Pac-Man Championship Edition DX. Game graphics looks more dazzling. Additionally, as a fan of Pacman, you might like to check other Pacman themed gadgets such as the Pacman decal, Pacman notebooks, and more via “Pacman” tag.